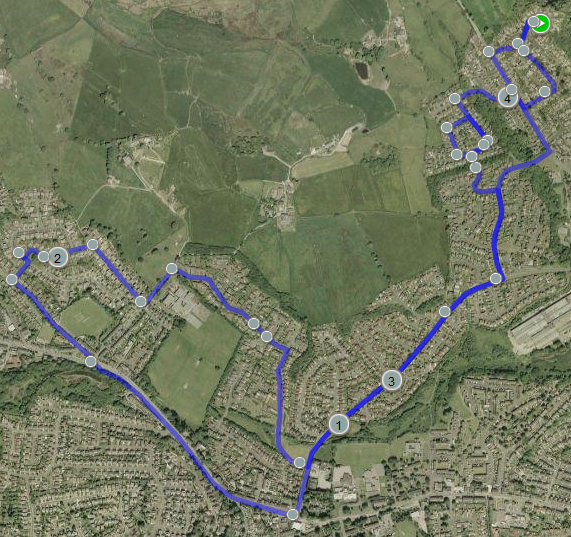 Not a massive distance, but enough was covered to get me over the #July150 target for this month. That means that July 2010 is the best month for cycling i’ve ever had. I’ve never got anywhere near this, apart from last months 120 odd miles that I did. Nevertheless I feel really good. Did as much of the ride on the big ring as I could to work my thighs. I’d post a picture of the stats, but my phone is playing silly buggers and won’t share it. Well done mate, terrific effort! cheers… my knees are killing me now though! Ha ha, maybe another 150? Trouble is, I’m on holiday the first 2 weeks in August so I’m thinking about how to do it. 150 is doable, but it depends on childcare (me) and whether I get gainful employment over the summer hols period… I’m only losing 1 week of August so I might be able to do it. My brakes made this noise: “WEEEOOOOOOOOKAKAKAKA” for a week or so after Blackpool but they seem to have settled again now. Summer hols are a quiet time to get any decisions made, it’s a pain. Good luck mate. I’ve about 0.5mm left on the front pads so they are due to be replaced imminently. I’m trying very hard not to get incredibly pissed off as I don’t like being at home during the day.. Something will happen, I just need to chill out a bit – something i’ve forgotten how to do tbh.. I feel your frustration, I’ve been there. Relaxing is difficult when you have an objective but action is largely outside your control. Activity helps, sending out he CVs and applications, but it only actually gets better when some response comes back. Hang in there sir. true. one issue I have is that I have little in way of professional qualifications, but shed loads of real world experience but it’s overlooked. fortunately I do have a couple of options but they are a lot less money than I have been on previously, but again this could be an opportunity as it’s experience with new software that i’d gain. I’m glad I am an optimisic person as I’d not like to be in this situation if my glass was always half empty. has it? I don’t know owt about it!